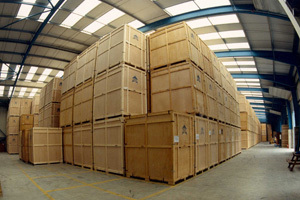 JoJo Removals has warehousing and self-storage units through partners across London and the UK. Our secure storage facilities are becoming ever more popular especially where exchange dates on property purchases are uncertain or during downsizing moves. We provide both temporary short-term and long-term storage options. We can cater for your needs even if you're looking for overnight storage during a move. With carefully selected (outsourced) storage partners we can ensure space is always available in the right location.